About A Blue and Gold Macaw at the Litchfield Zoo in Phoenix Arizona. 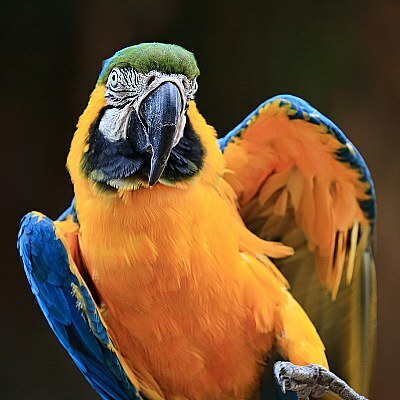 Beautiful shot of the colorful Macaw. Congrats on your award. Excellent close up with finest timing, colors and details and dof, Ann, well done. What a character ! Great dynamic by blurred portion, enhancing the sharpness of such colorful image. the colors are very pleasing Ann.